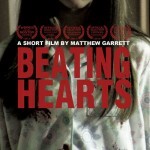 Beating Hearts, a short film written and directed by Matthew Garrett, is like a horror movie in reverse. Instead of first establishing mood and tone and then getting to the gore, Garrett opens his film up with an act of horrific violence and then spends the rest of the 11-minute running time wallowing in the melancholic aftermath. This is an absolutely terrifying movie, but not because killers are jumping out of shadows nor are there music stingers designed to make you jump. Even the violence is minimal. 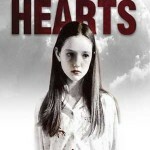 No, Beating Hearts is terrifying because in a very cold, matter-of-fact and low-key manner it puts a great evil on display and provides no answers for us to understand or cope with it. Pure evil usually is incomprehensible. Yes, we can always figure out the logistics and the circumstances of a completely monstrous act, but the “why” of it all will remain outside of normal human understanding. Does the “why” even make sense to the perpetrators, or are they fueled by something beyond their emotional and intellectual capabilities, if they have any of those left at all? With that in mind, Garrett has structured his film as though it’s the last 11 minutes of some other movie. That other movie includes all of the human drama that explains and rationalizes the horrific event that opens Beating Hearts. But, we don’t get to see any of that. Garret hints at it vaguely through the actions of those who remain living and through little visual clues that we are left to interpret on our own. Garrett doesn’t give us much to work with. This is a very minimal, stripped-down film with perhaps just a few random lines of dialogue spoken by two people who have been speaking in code to each other for a long time now. They have held a big secret and there’s no one left to divulge it to. They don’t have to tell it to their now-dead victims. They don’t have to tell it to each other. And they don’t have to tell it to the audience. Any explanation by the two main characters about their motivations would only seem like forced exposition. As it is, these two people are more human to us as we are forced to focus in on their little mannerisms and the way they physically interact with each other. But, that demands an audience willing to pay attention — and Garrett makes no concessions to those who don’t. I’ve refrained from giving any plot details, nor have I even said who those two main characters I’ve been discussing are. Personally, I watched the film not knowing anything about it, except from being familiar with the director’s previous movie, Morris County. While that film was feature-length, instead of being one long narrative, it was a triptych of three thematically connected short films. What I’ve come to understand about Garrett’s work is that he’s really mastered the suspenseful short film form. He has an innate ability to know exactly how much information to put into a short film and how to dole that information out to keep the audience on edge and disturbed. 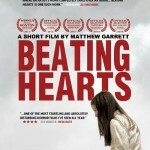 Beating Hearts is disturbing. And mysterious. And puzzling. But, at the same time satisfying as Garrett gives us enough to make these two main characters seem very real in their monstrous behavior. As for who these two monsters are, all I’ll say is this: One is a young pre-teen girl (Gianna Bruzzese) and the other is her grandfather (Peter Coriaty).